American grassroots/Astroturf online poker advocates (and fallback career option for ex-law enforcement bigwigs) FairPlayUSA have released a study they claim refutes the notion that state lottery revenues would be adversely affected by the legalization of online poker nationwide. 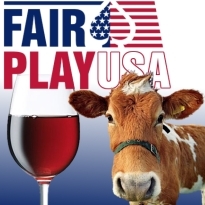 FairPlayUSA’s study was commissioned in response to the increasingly assertive stance taken by state lotteries in the debate over who gets to provide online poker to US citizens once politicians pull the corks out of their backsides. In addition to lottery officials making an appearance at the most recent Congressional hearing into online poker, the state lottery-supported Public Gaming Research Institute recently published its own study arriving at (surprise) the exact opposite conclusions to FairPlayUSA’s. Eugene Christiansen of Christiansen Capital Advisors (CCA), the firm that crunched the numbers for FairPlayUSA, claims online poker couldn’t harm lottery ticket sales because the two were “fundamentally different forms of consumption” that “have nothing in common other than their legal status as gambling.” According to the CCA study, “milk and wine are both beverages, but they satisfy different consumer appetites.” (Clearly, this was by far the easiest paycheck CCA will cash this year.) 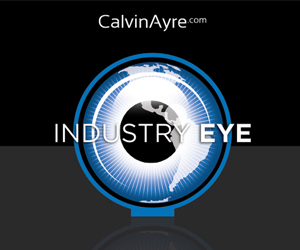 By the same token, FairPlayUSA, despite depending on Caesars Entertainment and MGM Resorts to pay its bills, is not a casino, and has nothing in common with those casino giants except a burning desire to see them take point in a new federal online poker system. Those backing FairPlayUSA’s vision of the online poker future will turn their eyes toward Nevada on Wednesday, when the Nevada Gaming Control Board (NGCB) will hold yet another hearing to discuss the latest revisions to its federal-friendly proposed online poker regulations (view the latest documents here). Then, on Dec. 22, the Nevada Gaming Commission will hold a hearing on the NGCB’s hearing. While the wheels of bureaucracy turn glacially slow, the state still expects to have its regulatory ducks in a row by the end of January. But with state officials on record as saying nothing will happen until there’s legislative movement in Washington, it will likely be a case of all dressed up and nowhere to fold.